Even though the writer seemed to jump scenes prematurely I was enthralled with this book. As a reader I found myself having a "movie" like experience. Have you listened to any of Gary Tiedemann’s other performances before? How does this one compare? 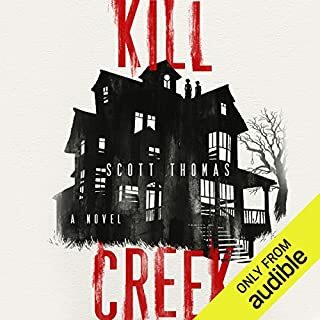 The narrator did throw me off at first, but I adjusted rather quiclky and enjoyed it. My favoriate scene was when the ghost child climbes into the bed with Liz and askes "why did my daddy kill me?". Well told. Really creepy, but not heavy-handed. The creepiest parts are when the family isn't quite sure what's going on. One of my favorite parts about this book is Moore's inspiration. He writes that this story is based on experiences he had in one of his childhood homes. 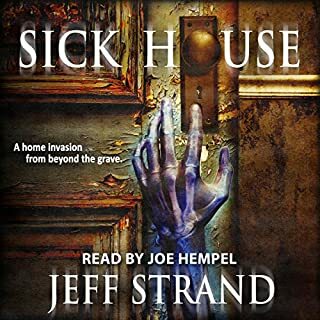 Sure, this is fiction and obviously fleshed out to be a complete haunted house story, but thinking about some of the things that Joey (the child) saw and heard as coming from the author's memory gives this an added level of fright for the reader. 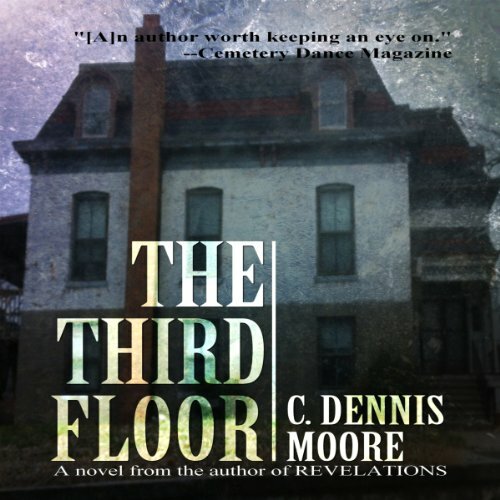 Would you consider the audio edition of The Third Floor to be better than the print version? I haven't read the print version, but the audio version was excellent. Having a narrator really adds to the story because it sets a tone, which print novels can't do. Additionally, this narrator was really good at creating a vision in your mind. The story was really good - I love the suspense and the wonder that the story builds. I can't really identify just one thing. I think it is worth listening to because it's was an all-around good story. The one with the house (again, I can't really pick a favorite - it wouldn't be fair because it's just too good). I didn't laugh or cry, but I found myself wrapped up in it and it was hard to stop listening. I would listen on the train, before bed, at lunch, and when walking. Really enjoyable. 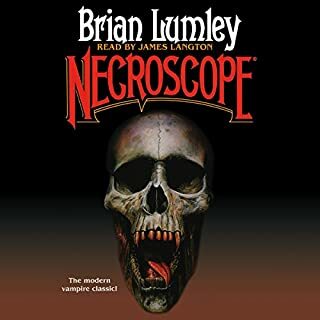 I'll be looking for more from this author and this narrator! The story, the narrator, a..ma...zing! What made the experience of listening to The Third Floor the most enjoyable? The narrator did a great job with the voices for each character. Made it easy to follow. kept my attention at max! I love ghost/scary/thriller stories. This one did not disappoint. Chilling. Who was the most memorable character of The Third Floor and why? Joey. Always more frightening through the eyes of a child. This is a decent horror story but definitely on the tame side. What I mean is, it will entertain you, but probably not keep you up at night or have you checking under the bed. It's not that this was a terrible story, it just wasn't a very good one and certainly not a particularly fresh or well-told one. I can see that other people loved it, but I felt it dragged, pace-wise. And if I read another horror story where the conflict centers around a couple where the husband keeps flatly denying there is anything supernatural going on, for 5 hours, I'm going to scream. That particular plot device has worn very thin with me. Would you listen to The Third Floor again? Why? Yes and will, it was a good book! I can't wait till he writes another. The Third Floor is a prototypical haunted house story. Family moves to a new town with a local reputation for unexplainable phenomena. The house the family moves into tortures and haunts the family because of its sordid past. 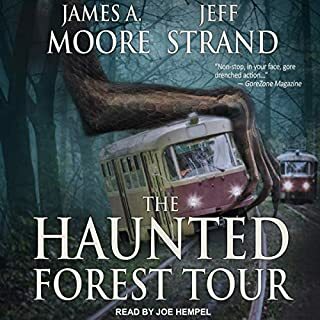 It's by no means a new story, but it's interesting and well told and since every story has been told before, all we can ask of our authors is to retell the story better and/or more interestingly than others who've come before and I think Moore does a really good job. 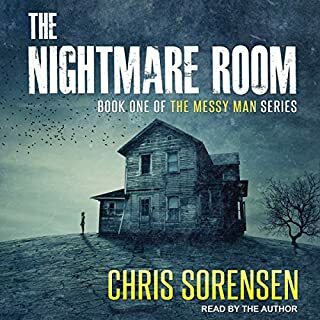 Tiedemann does an excellent job of contributing to the creepy vibe of the story and infuses excellent vocalizations to the various characters you grow to identify with in the story. Let the home buyer beware...of ghosts! 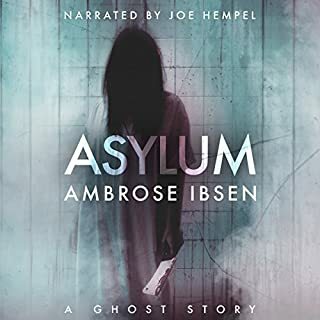 This has got to be one of the best horror stories I have listened to by far.The story is so easy to to get drawn in right from the start, Just a normal family moving in to a old creepy house in a new town, but this house has so much history, the narrator also makes it so scary with his voice, it made me feel jumpy in places I also think this would make a good film too. Highly recommend this book if you like the spooky stuff. Rarely have I read a book, even a horror story, where the characters' reactions and interactions are this absurd. [Poss. SPOILER] For example, when the mother sees her stepson start spurting blood from his eyes, ears and nose, then vomit copious amounts of gore and fall unconscious, she simply assumes it's a reaction to the priest blessing the house and calmly sits and waits for it to stop. Immediately afterwards she has a little joke and a chat and the episode is never mentioned again! This is not a one-off, such unlikely reactions typify the entire book and cause the characters to lack any credibility whatsoever. On top of that there is no originality. The plot is cliched, predictable and we've seen it a thousand times before. The realm of supernatural horror is, by definition, not constrained by physical laws or precedent so why is it that every story reads like it's been shoe-horned into the same template? Family move into new house in new town, house has bad history, strange things start to happen, and so on and so forth. Yawn. The narrator didn't add much either, his voice was often flat and uninspiring and his portrayal of Jack frequently gave me the impression that I was listening to an episode of Family Guy.